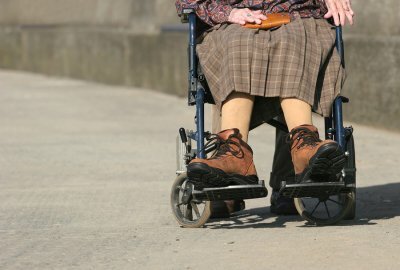 Impairment of the lower extremities is a common cause of inactivity among seniors , according to the U.S. National Center for Health Statistics. There are several signs of foot problems that podiatrists in Sugar Land see more commonly in older patients. Continue reading to learn about podiatric issues that tend to develop later in life. The cushioning, fatty pads of tissue in the bottoms of the feet tend to lessen as someone ages, leaving the foot more vulnerable to podiatric problems and foot pain. Brittle nails and dry skin are also commonly seen, as are problems with the bone and ligament structures. To maintain your foot health as you age, podiatrists advise having your feet measured regularly to help ensure that you are wearing properly fitting and supportive footwear. Also, choose shoes that have a firm sole and soft upper, and shop for shoes early in the day, as feet tend to swell later on. Finally, bathe your feet in warm water daily, trim your toenails straight across, walk regularly, and see your podiatrist twice per year. It is important to keep your body healthy, from your head right down to your toes. Toenail fungus is a common condition that can impact the health of your toenails and lead to pain and embarrassment. If you are concerned about toenail fungus, schedule an appointment with a foot doctor in Sugar Land to have your feet examined. You can also find out more about the causes, symptoms, and treatment options for toenail fungus below. Nail fungus is a type of fungal infection that can take root in the space between your nails and your skin. Toenail fungal infections are more common than fingernail infections, as the toes are often confined in socks and shoes, which provide an ideal environment for fungal growth. Toenail fungus is often spread in warm, damp areas, such as in locker rooms and around public swimming pools. Toenail fungus can have a variety of effects on the nails. This type of infection can cause the toenails to become discolored and yellowed. Infected nails may also thicken as the infection spreads. Other common symptoms which indicate that you should schedule an appointment with your podiatrist include nails that are distorted, dull, and brittle. Toenail fungus may affect just one of the nails on a foot, or can spread to several nails. You may also feel pain in your toes or notice a foul odor coming from your toenails if you are suffering from toenail fungus. Your foot doctor can help you find the right treatment to eliminate toenail fungus. Antifungal medications may be used to treat the infection. These medications may come in the form of oral pills or medicated creams. Another highly effective form of toenail fungus treatment is laser treatment. With this option, your podiatrist will direct a laser through your toenail to kill the fungal infection at its source. Laser treatment is painless and fast, with no unwanted side effects. Toenail fungus is a very common foot disorder that is caused by a fungal infection in the nail. The condition can spread to other toenails, the skin of the foot, and even your fingernails if left untreated. If you’re concerned that you’re suffering from toenail fungus, visit a podiatrist in Sugar Land for diagnosis and treatment. Watch this video to learn more about toenail fungus, and how to avoid developing it. Dr. Richard Jacoby discusses the symptoms of the condition, its causes, and how to keep your feet healthy and fungus free. Have you been putting off seeing a foot specialist in Sugar Land for your toenail fungus? If so, you may be compromising your foot health. Toenail fungus may begin as one a minor concern, but as with many foot conditions, delayed treatment can result in progressively serious complications. Your toenails are integral to your overall foot health. They also serve an important aesthetic role. When you allow toenail fungus to persist, though, you may be risking the wellbeing of your nails. This condition can compromise the body’s ability to keep your toenails attached to the skin. It might even lead to toenail loss that cannot be replaced with new nail growth. A toe fungus doctor can address this potential complication of toenail fungus before it produces permanent foot disfigurement. Skin infections can be cosmetically adverse and physically uncomfortable. They may also be difficult to address when you have an active toenail fungus. If left unchecked, toenail fungus can have repercussions beyond your toenails. Should it come into contact with even the smallest cut or scratch on your foot, you may soon have a dangerous skin infection that could require extensive podiatrist treatment. Before your toenail fungus has the chance to cause this kind of harm to your feet, talk to a foot and ankle specialist about his laser treatment options for your condition. In its beginning stages, toenail fungus may produce little discomfort. As a result, it is easy to underestimate the importance of treatment for it. The longer this condition persists, though, the more likely that you will experience pain because of it. This discomfort can interfere with your favorite sports and hobbies. It can also make it difficult to engage in more commonplace activities. Toenail fungus treatment is a simple, safe, and highly effective way to address this problem. In less than an hour, your foot doctor can use laser energy to eliminate the bacteria causing your condition. In many cases, it takes only a single session to get the results you want. Your local podiatrist can accurately diagnose and effectively treat an incredible array of problems that affect your feet, including nail fungus. While many people think of nail fungus as a minor inconvenience or merely a cosmetic issue, it can in fact lead to serious health problems. When left untreated by your Houston podiatrist , nail fungus can lead to permanent nail damage and infections that spread beyond your feet. While it’s best to visit your foot doctor sooner, rather than later, you should definitely take the time to schedule an appointment if the following factors apply to you. If a podiatrist has never diagnosed you with nail fungus before, you may be incorrectly self-diagnosing your condition. There are many foot and nail conditions that can mimic the abnormalities associated with nail fungus, such as onycholysis, a hematoma under the nail, psoriasis, and paronychia. By scheduling an appointment with a foot and ankle specialist, you can be sure that you’re getting the right treatment for your specific condition. Diabetics need to take special care of their feet because of their tendency to have inhibited blood circulation and a higher risk of infections. If you have diabetes, you should schedule an appointment with a podiatrist promptly upon noticing any foot or nail abnormalities. Occasionally, cases of mild nail fungus may be resolved with home remedies. These include scrupulously keeping the feet clean, filing off-white markings, and applying a liquid anti-fungal product. Unfortunately, without proper treatment from a podiatrist, nail fungus is apt to recur. For prompt, effective treatment of your toe nail condition , you should see a podiatrist as soon as possible, especially if you notice certain changes to your nails. These abnormalities may include toenail deformities, discoloration, or thickening. By seeing a podiatrist as soon as possible, you can reduce the risk that you’ll suffer permanent damage to your toenails. A fungal infection of the toenails may be caused by a wide variety of fungi. Additionally, there are certain factors that can raise your risk for toenail fungus. You may be at higher risk for the development of nail fungus if you have a history of athlete’s foot or have suffered an injury to a toe or nail bed. 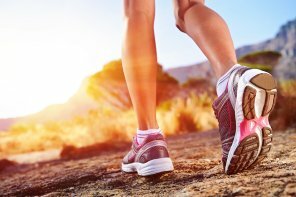 Certain sports or types of shoes can also cause injury and trauma that may raise your risk for a fungal infection. Those who suffer from excessive foot perspiration, diabetes, circulatory problems, and immune system illnesses or deficiencies can also be at higher risk for toenail infections. Your foot doctor in Sugarland can help you determine your specific risk factors, as well as provide the information you need to prevent a fungal infection. Allowing a fungal infection to persist can lead to skin damage and even illness if the fungus enters your bloodstream. Fungus on feet will not go away on its own—you’ll need to visit your podiatrist for toenail fungus removal to ensure the issue is properly addressed. Wet hands and feet are much more likely to get infected, which is why it is important to do what you can to minimize moisture in these areas. After you bathe, you should use powder to soak up wetness on your hands and feet and minimize your risk for an infection. If you are wearing gloves or socks that get wet, you should change them. When the weather is warm, you should wear sandals or other shoes that allow your feet to breathe. If you can prevent excessive sweating, you are less likely to deal with fungus and all of the issues that it might cause. If you use a public shower or pool, you should wear sandals and be sure that they have time to fully dry in between uses. The podiatrist can help you figure out the best way to keep your nails healthy and free from fungus. If you are worried about the condition of your toenails, you should make an appointment with the foot doctor to learn about treatments that can help minimize your risk for infection. The more that you know about your nails, the easier it will be to keep them free of fungus. If you are not careful, you are likely to come into contact with some kind of nail fungus that could eventually consume your entire nail. If you develop fungus on your nails, it is important to visit the foot specialist to get treatment before your issues become worse. The podiatrist can also help you figure out how to pay more attention to your nails to prevent further fungal problems.